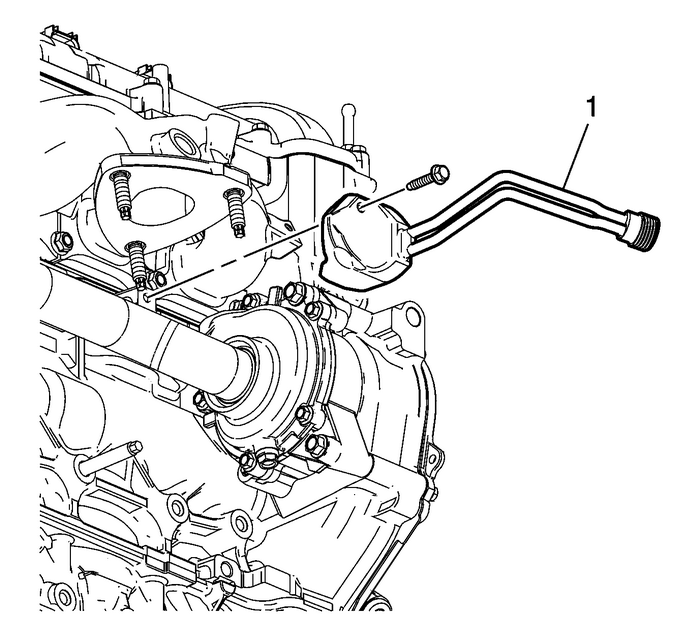 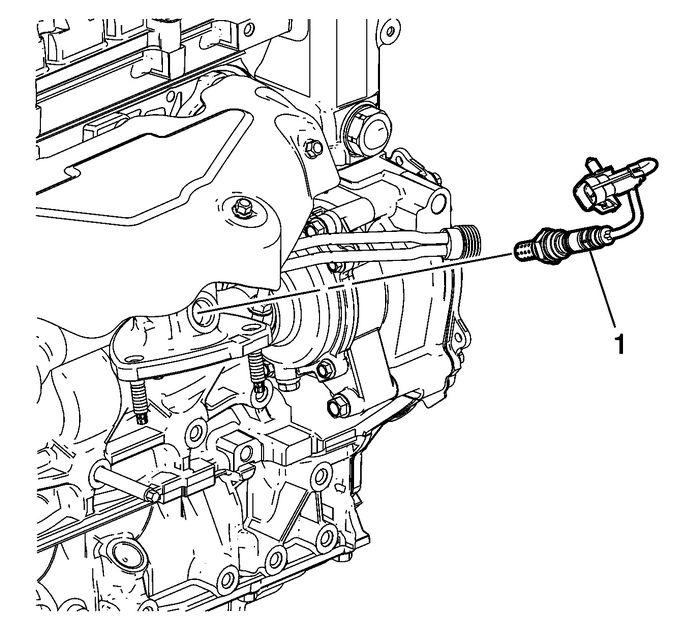 Remove the secondary air injection bolts-(2) andnuts-(1). 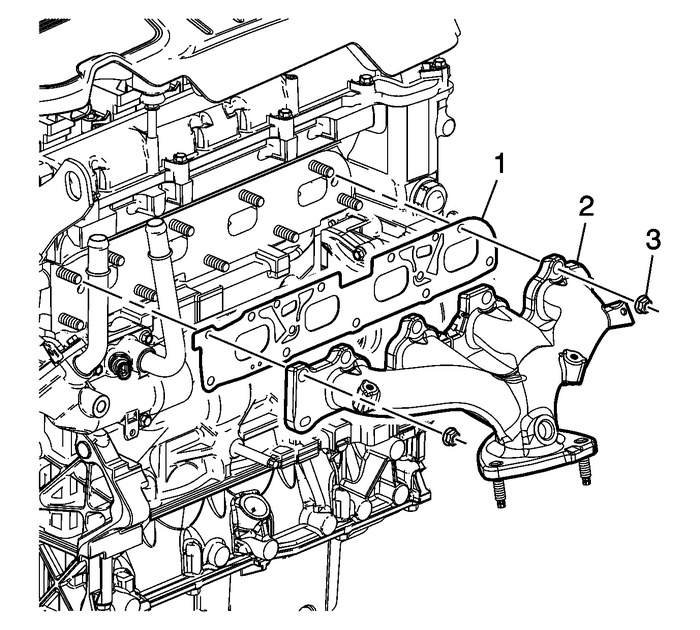 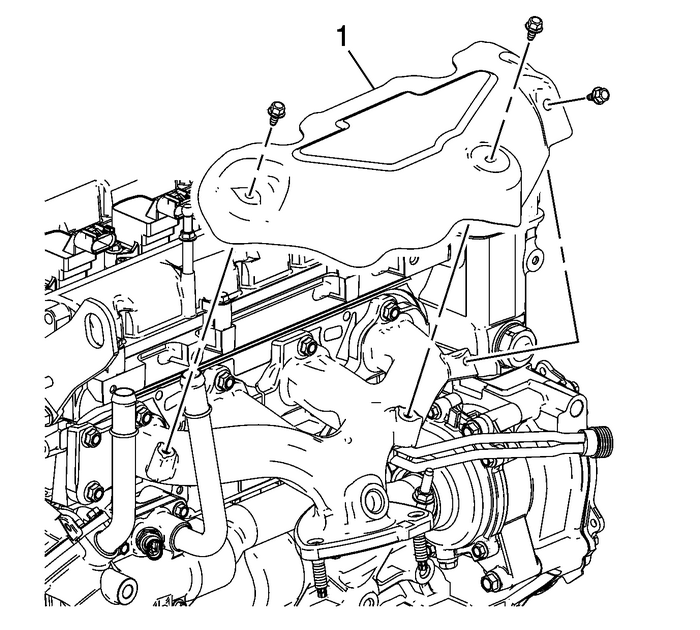 Remove the secondary air injection studs-(3 and4).Remove the secondary air injection valveassembly-(1).Remove the secondary air injection gasket-(2) anddiscard. 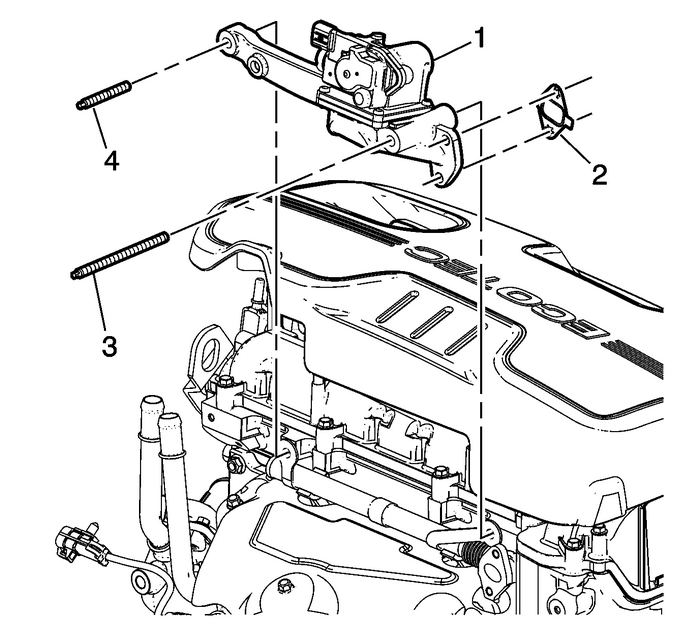 Remove the exhaust manifold heat shield bolts.Remove the exhaust manifold heatshield-(1). 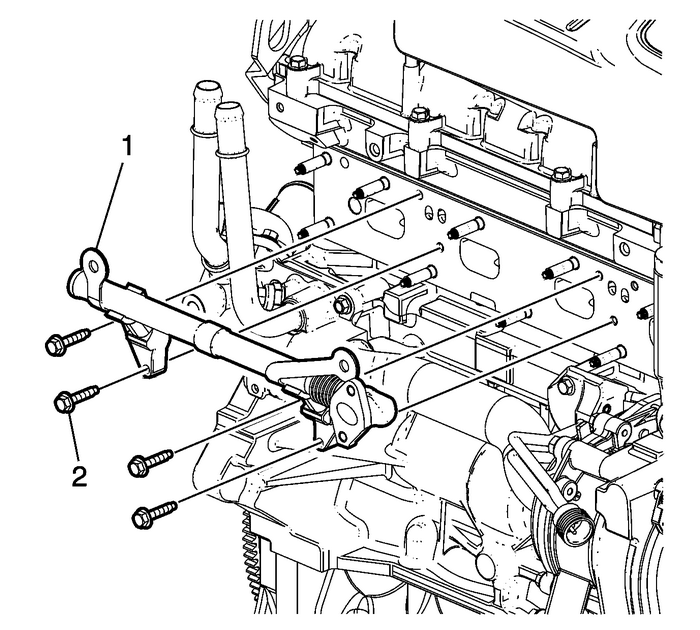 Remove the block heater-(1), if equipped. 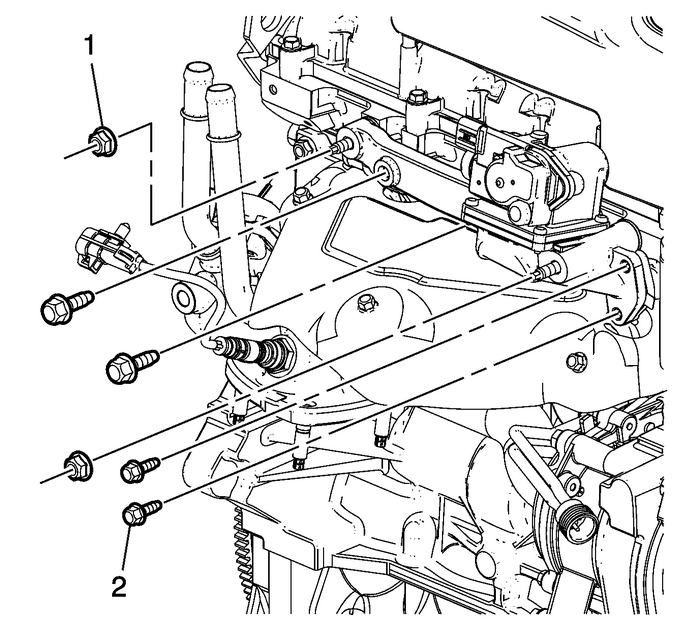 Remove the secondary air injection pipe assemblybolts-(2).Remove the secondary air injection pipeassembly-(1).